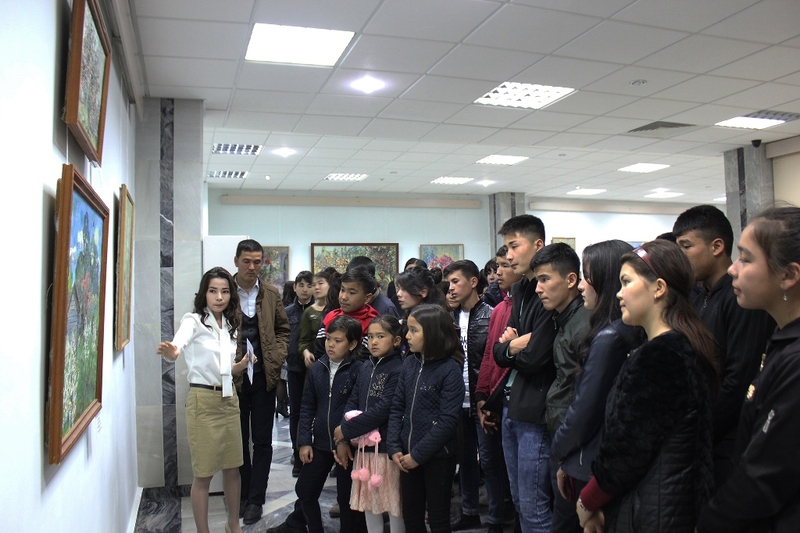 The State Museum of Arts of the Republic of Karakalpakstan named by Savitsky :: Exhibition "Melody of Spring"
On March 19, 2019 the State Museum of Arts of Republic of Karakalpakstan named after I.V. 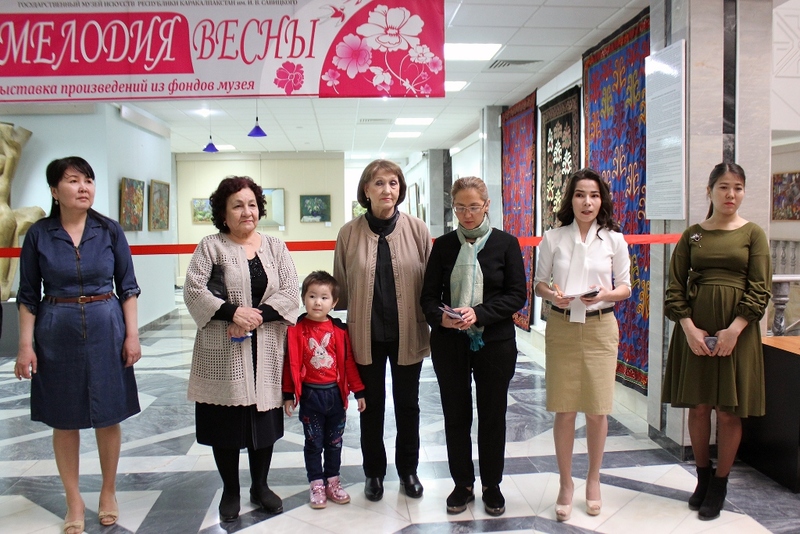 Savitsky opened the exhibition entitled “Melody of Spring” dedicated to Navruz . 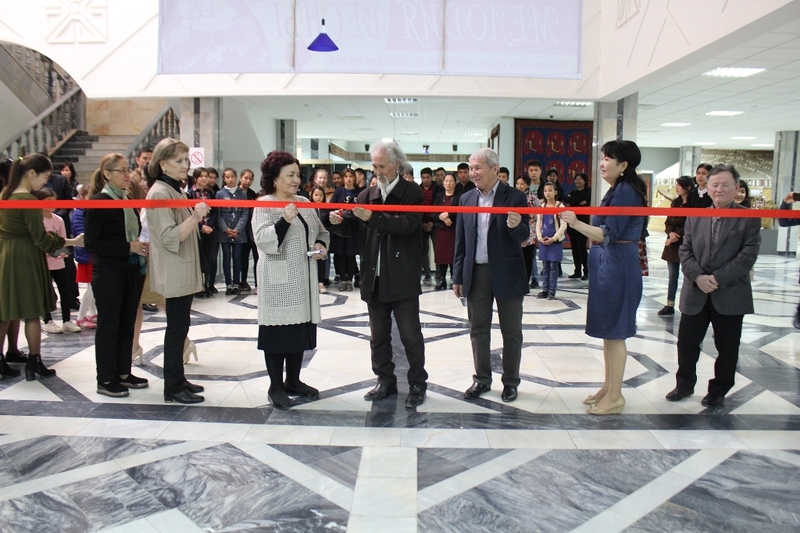 Simultaneously, the exhibition features works by authors who have not been exhibited before. Among them you find such authors as S.M.Muradyan, V.S. Turanov, D.D. Burliuk, V.D. Milioti, K.K. Bogodukhov and others. The works of N.G. Karakhan “Spring in the mountains”, “Spring in the village”, V.I. Ufimtseva “Early spring”, G. B. Abdurakhmanov “Spring in the mountains”, A. Erimbetov “Spring” and A.A. Stavrovsky " Forest in the spring" are done in a light color. The works of V.D. Milioti “In the garden”, A. D. Burzyantsev “Spring day”, V. A. Volkov “Fergana gardeners” are saturated with thick and bright color. In nature, every moment has its own color and under the influence of light, shades of various objects and, depending on the state of the air or environment, have properties to change. Observing the natural phenomena, the artists tried to convey them in their canvases. There is no false in the artworks, as every piece of art has been created by nature itself, the artists used light tones, emitting warmth, light and giving a joyful mood to man. Spring is the beginning of the awakening of nature. With the arrival of spring the sun shines brightly, the first grass appears and the trees bloom. Many artists, being enchanted by the spring renewal of nature, captured it in their canvases. And the exhibition presents not only landscapes, but also numerous still lifes with flowers: M.I. Rayskaya “Yellow flowers and irises”, “Roses and irises”, V.N. Perelman “Still Life “Lilac", Yu.I. Taldykin" Tulips ", V.А.Popov" Lilac ". The spring flowers - iris, tulips, lilac, rose were conveyed in bright, various colors. 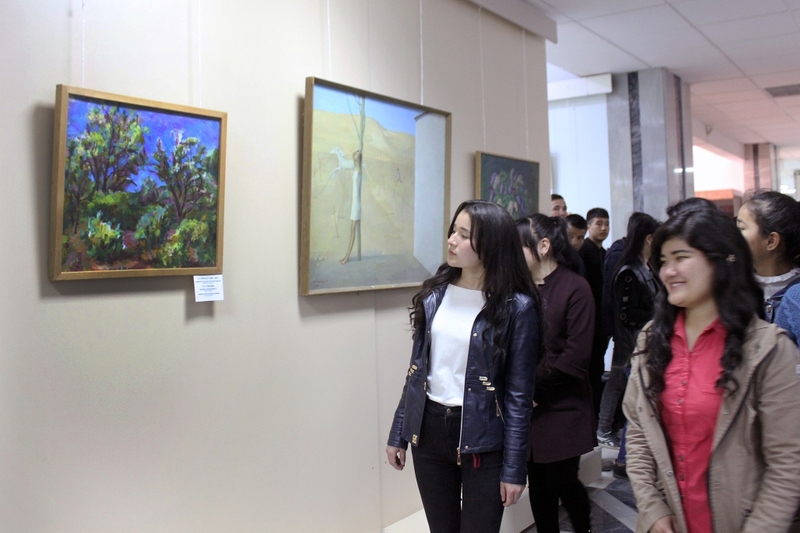 In honor of the spring renewal and the holiday of Navruz, the exhibition has aimed to introduce the audience to the numerous works of painters from the museum's collection.